I love dimsum but the format of the meal is not very single or couple friendly- items come in threes and you can't maximise variety if you have a small stomach. #firstworldproblems Dimsum buffets also do not work well for us. Thankfully, i've found a solution! 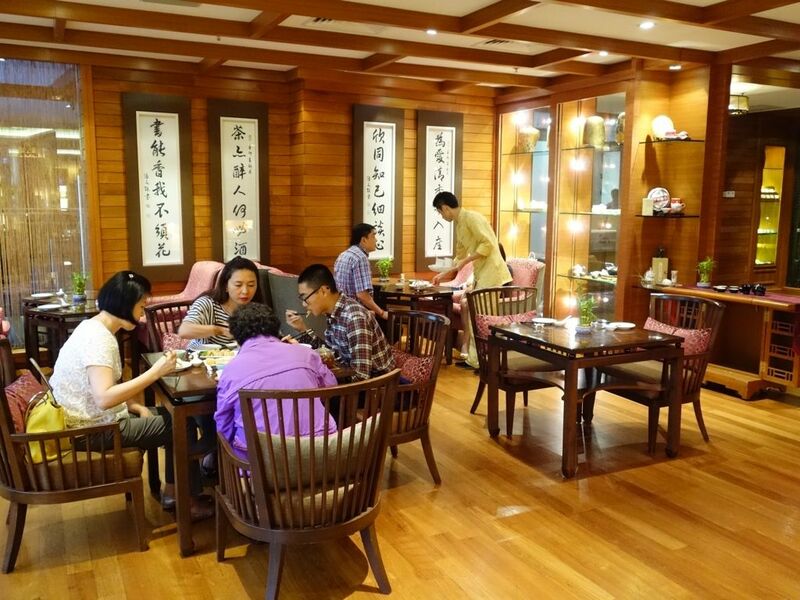 Tian Fu Tea Room by Si Chuan Dou Hua Restaurant offers a Dim Sum High Tea set that works perfectly for even the single diner. From now till 31 Jan 2015, enjoy the Sparkling Imperial High Tea (梦幻宫廷下午茶) at Tian Fu Tea Room for $38.80/pax. This festive high tea menu marries the tea room’s reputed premium Chinese brews with exquisite handcrafted dim sum and desserts featuring luxurious bird’s nest from all-new bespoke bird’s nest brand Long Ming Xuan (龙明宣). We started with a Torresella Prosecco Extra Dry NV, a delectable sparkling alongside a light floral tea. 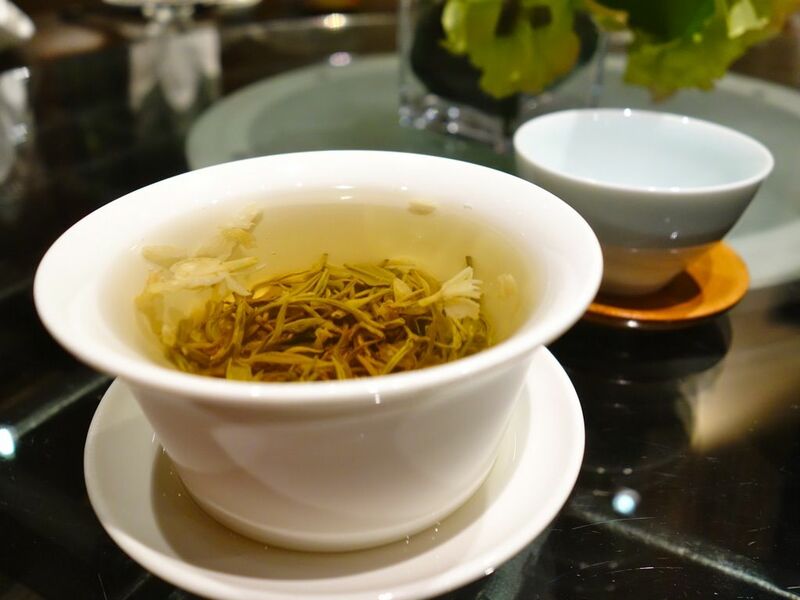 Bi Tan Piao Xue is a easy to drink green tea with a lingering jasmine fragrance. While i understood the pairing of tea with dimsum, i felt that the prosecco was a random throw in to market the tea as a festive product. 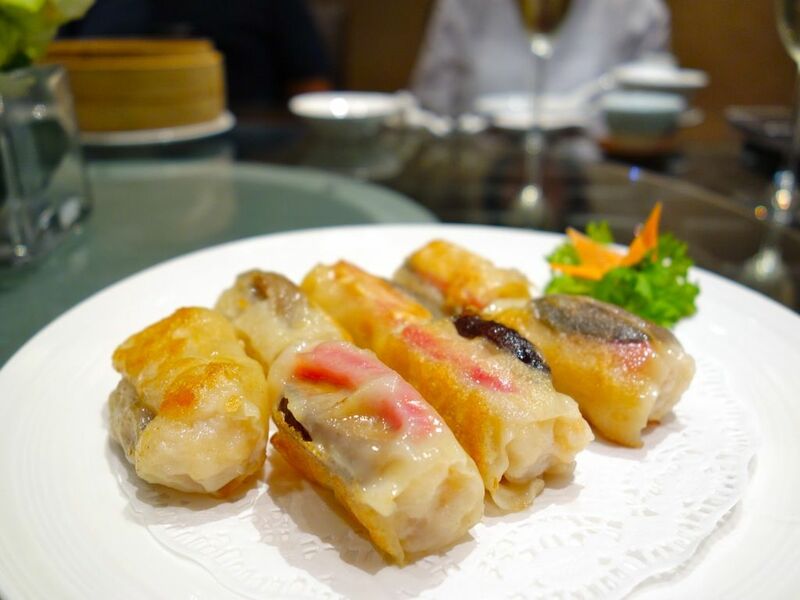 Each diner gets a single piece of each dimsum, which is perfect since you'll have space for more. Only downside is that you don't get more of your favorite. 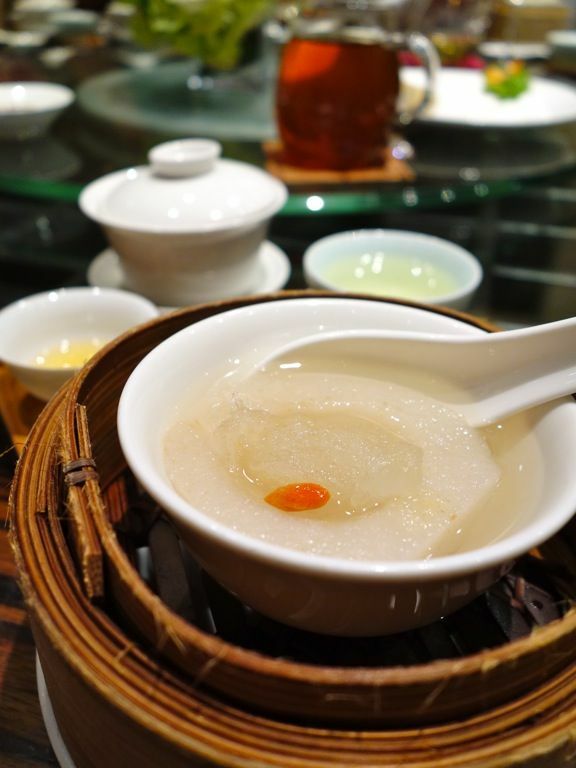 As the festive menu focuses on birds nest, the delicacy was in practically in all the dimsum. The goldfish looking steamed dumpling with minced chicken and birds nest had a skin that wasn't too cooked. 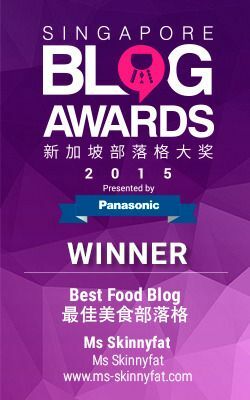 For dimsum fillings, i believe that pork is always the way to go, which is why the following items were better. Juicy pork filling in the Xiao Long Bao and Siew Mai. I liked the chunky meat texture in the siew mai and that the meat filling wasn't fatty at all. There was a lot of birds' nest in each dumpling and it added a light crunch to the texture. 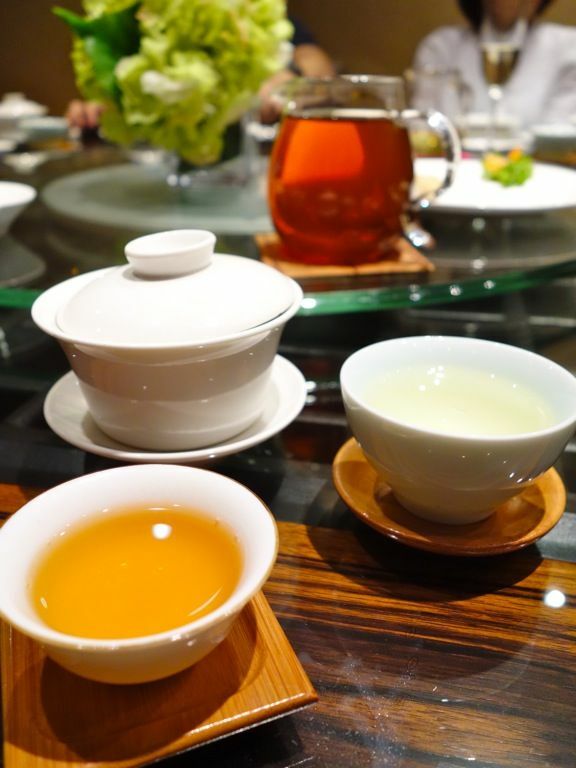 Tie Guan Yin (oolong tea) was served next for the heavier dishes. The teas get stronger as the meal progresses. This Tie Guan Yin changed my opinion of this tea as i thought it to be usually very heavy and metallic. The one served at Tian Fu was light with a little woody taste. Some fried goodness to break the monotony. This pan fried crab meat puff is like a gyoza with a crispy and thin filo skin. I liked this one because it was filled with a huge chunk of crab meat and you could taste the sweetness of the seafood. Even though the dumplings look similar to each other, it's good to know that the meat fillings actually differ. 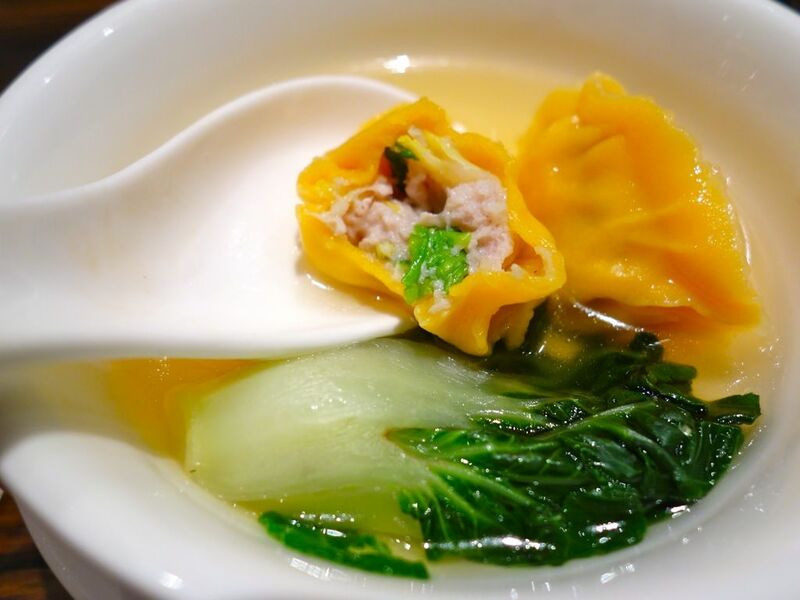 The boiled minced meat dumpling with chinese cabbage had refreshing greens and some ginger in it. Cooked in a superior chicken stock, the dish was very comforting to the tummy. A staple is included in the tea set in case one gets too hungry. The Sichuan noodle with onion sauce had a superb texture. It's what the chinese would describe as 弹牙 and that's because the noodles, like all the other dumpling skin, are hand made. I thought the dish could do with a little more seasoning though. Rounding up the meal, we had a red tea by the name of Yunnan Dian Hong. This tea is supposed to rid the palate of all oily remnants of the previous dishes to prep us for the dessert. I love love love the Boiled Pear with Bird's Nest. I would pick this over the sugary western poached pear dessert. Chinese pears have this refreshing and juicy quality that makes me want to take bite after bite. The double boiled method is also the best way to prep birds' nest imo. What's coming to Si Chua Dou Hua without some homemade beancurd with wolfberries right? 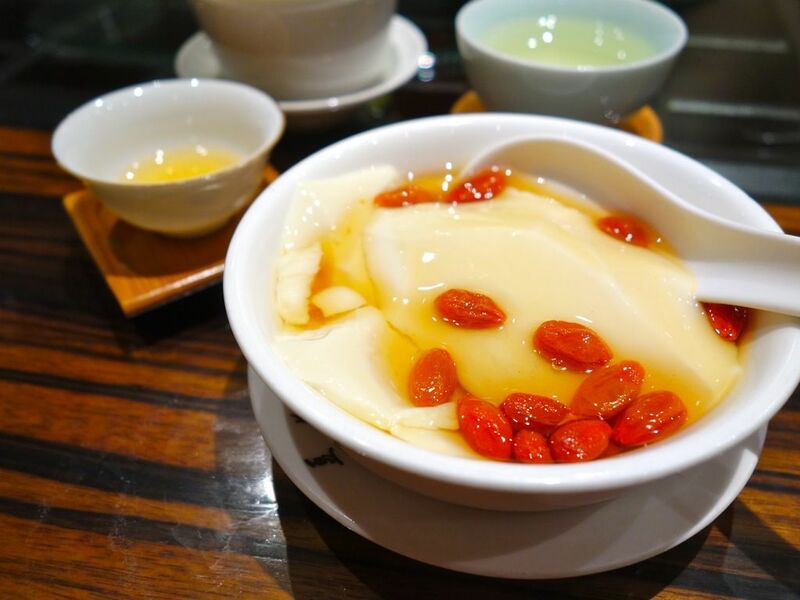 This is not included in the set but we couldn't resist a bowl of this freshly made beancurd with a light sugar syrup and sweet and plump wolfberries. No preservatives are used and the texture is amazingly silky and smooth. The kitchen makes this twice a day and the morning batch gets thrown out by noon so you can be guaranteed of fresh dessert any time you visit. 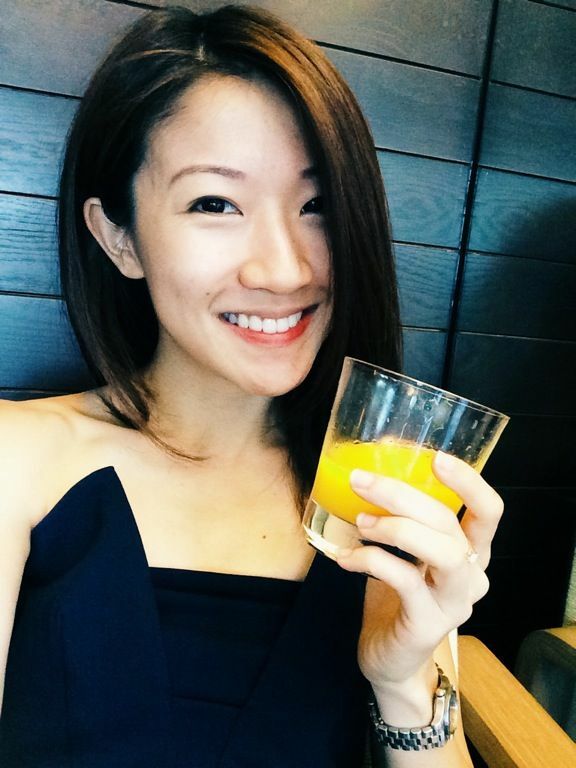 I loved the exquisite teas and beautifully crafted dim sum at Tian Fu Tea Room. 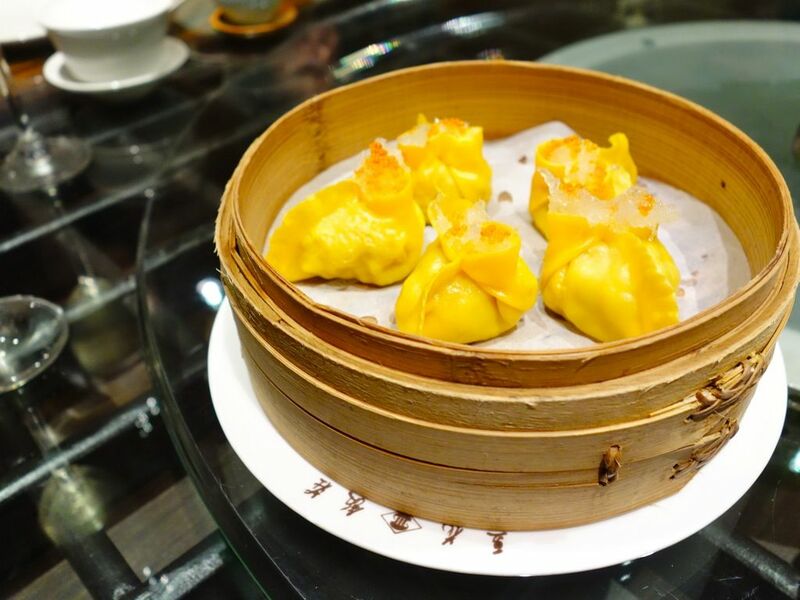 Although the dimsum may not be as traditional as those you get at dim sum restaurants, it's perfect for a chi-chi afternoon tea by yourself or with your mother, aunts and grandmother. Trust me, they'll love it. 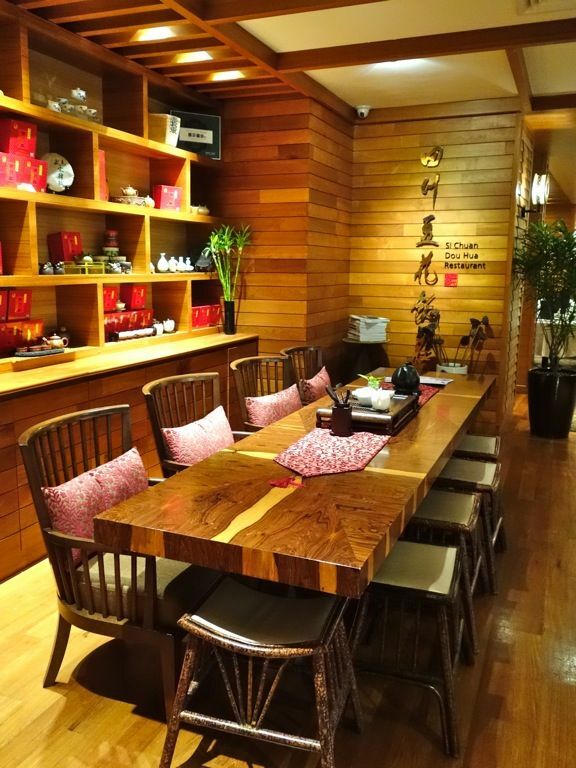 Tian Fu Tea Room is adjoined to each of the Si Chuan Dou Hua restaurants in Singapore.